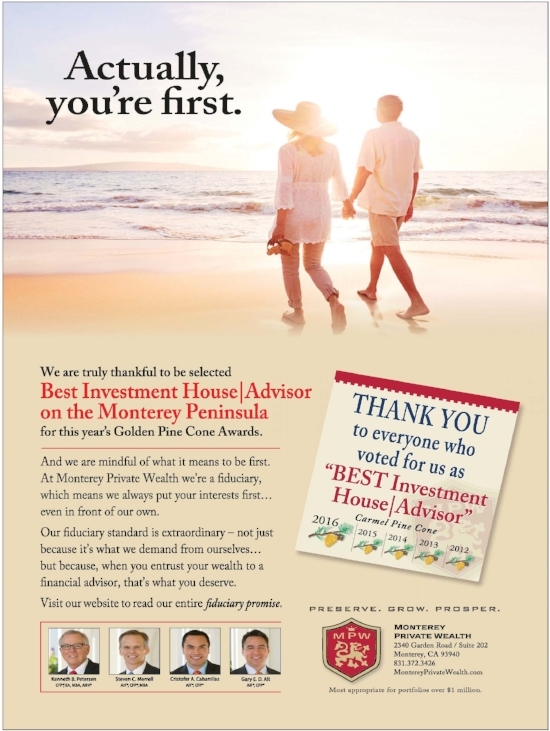 In the 2016 annual Golden Pine Cone survey conducted by The Carmel Pine Cone weekly newspaper, readers voted Monterey Private Wealth as “Best Investment Advisor” for the fifth year in a row. We thank all of those who voted for us! You can download and view The Carmel Pine Cone's special section, "Golden Pine Cones", by clicking here, or view it on the Pine Cone's website here.